If I foster a dog do i need to have a fenced yard? It really will depend upon the dog. Some dogs will require a fenced in yard, while others are perfectly fine being toileted and exercised on a leash. If you have an interest in fostering, please complete an application – we’d love to have you as part of our team and will find you the right dog for your home and circumstances. Promise! Hi! 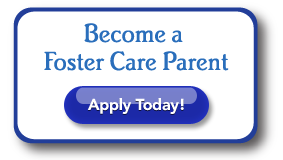 All you need to do, initially, is complete a foster application right here on our website! We will do our best to get you approved and then line up a cat or dog to be your foster pet. I am really considering being a foster. We have a Maltese female currently that is ours. I am a SNAP volunteer in St.Clair County. We don’t have a gate but 3 sides are fenced in outside. We go outside with our dog when taking her out potty. We use a leash when walking. I will discuss this with my husband and keep you posted.